Two of the most dramatic moves of the early nineties were the transfer of Kenny McKinna from Glasgow to Edinburgh in 1992, and the signing by Glasgow of Hungarian Robert Nagy in the same year. A clash of personalities saw McKinna loaned from Tigers to Middlesbrough in 1991 and Monarchs siezed their chance to take him for the following season, paying a record transfer fee. It proved a great move with Kenny serving Monarchs for a marvellous seven years, latterly as captain. 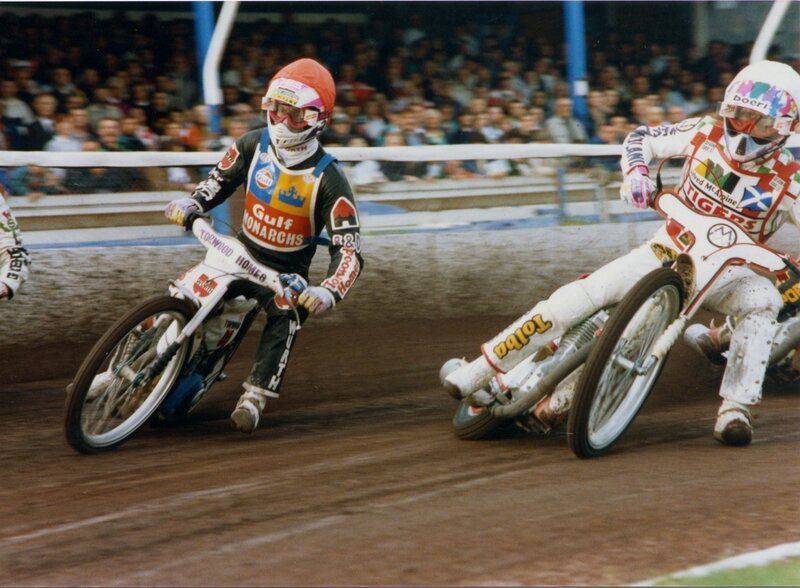 Nagy won the National League Riders' Championship in 1992 and performed brilliantly for Glasgow for three seasons. Kenny said races with Nagy were "just another race" to him but there always seemed to be an extra edge!